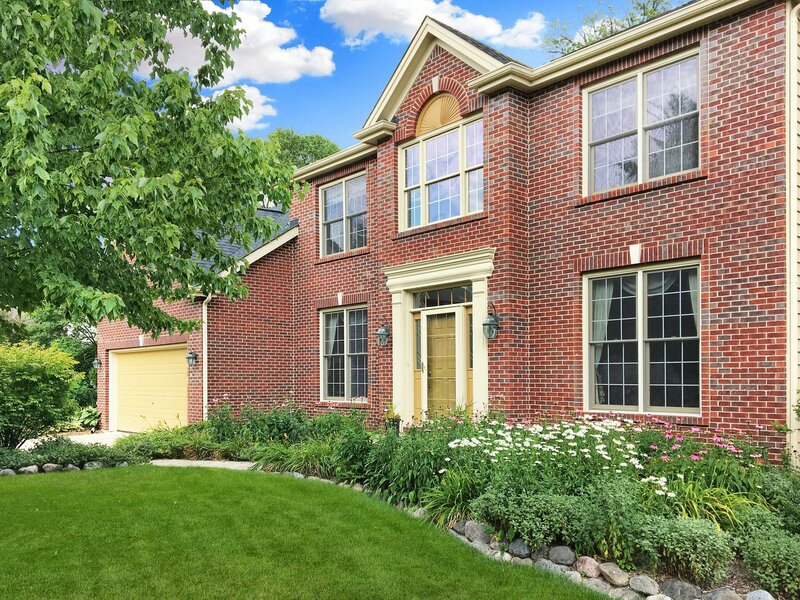 Fabulous Brick East Side St. Charles Move In Ready Home! 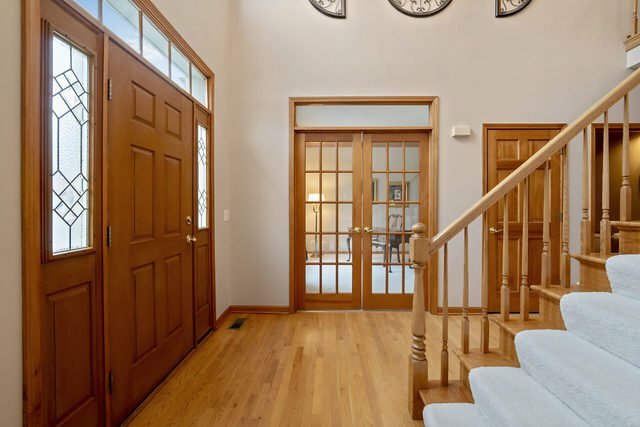 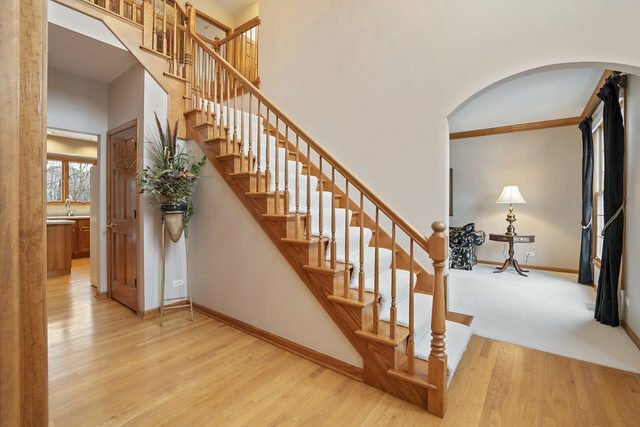 Welcoming two story foyer, hardwood floors and volume ceilings. 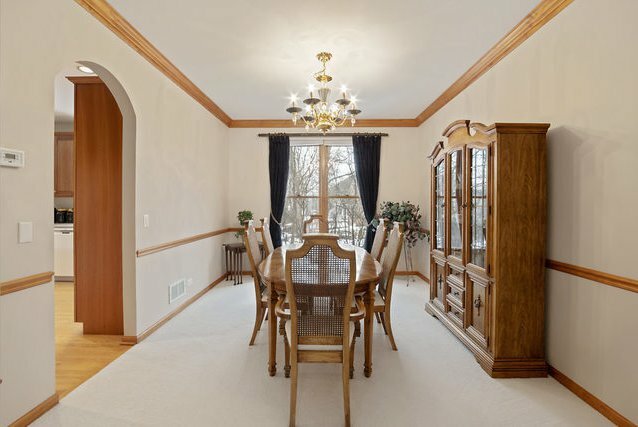 Arched doorways, transoms, crown moulding, built ins and French doors. 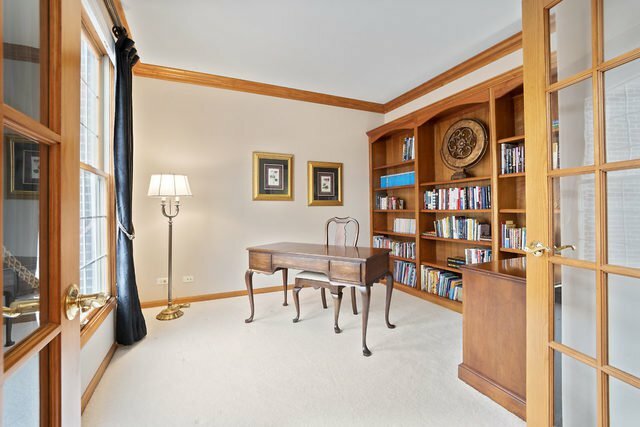 First floor Den/Library with built in book cases. 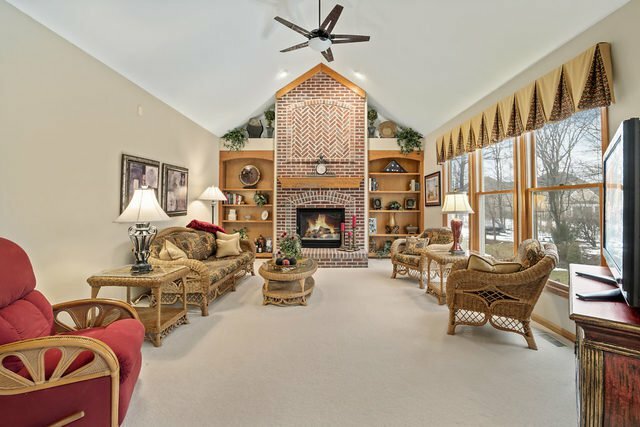 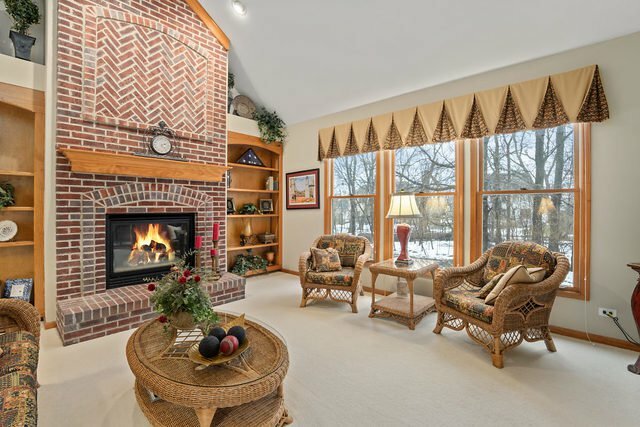 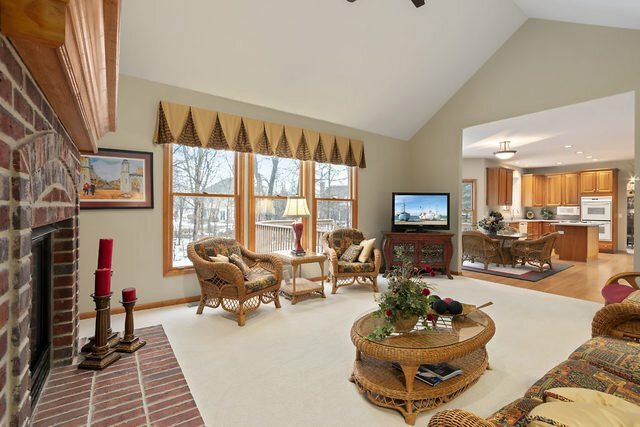 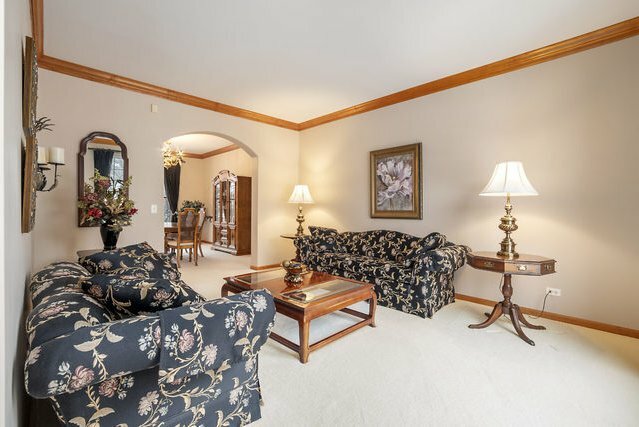 Large bright and sunny Family Room with cathedral ceiling and stunning custom brick gas fireplace. 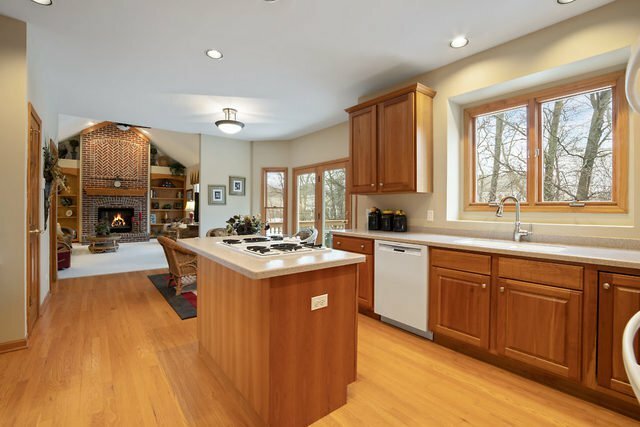 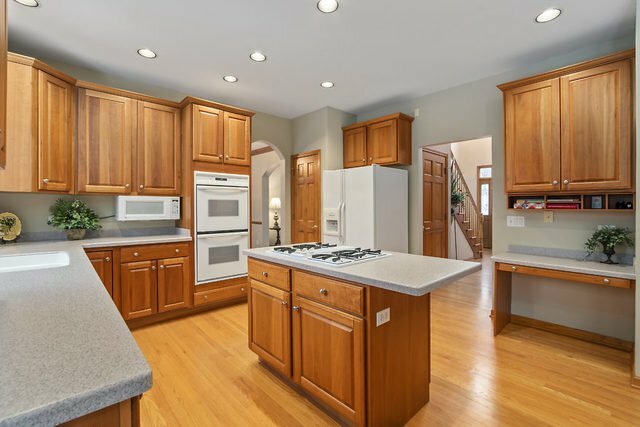 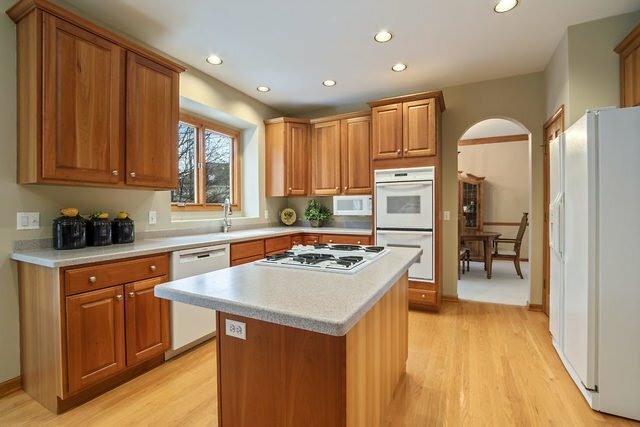 Beautiful eat in kitchen with cherry cabinets, breakfast island, double ovens, planning desk, and pantry! 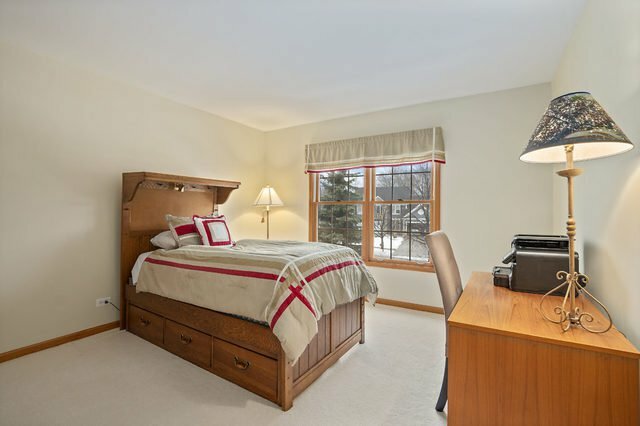 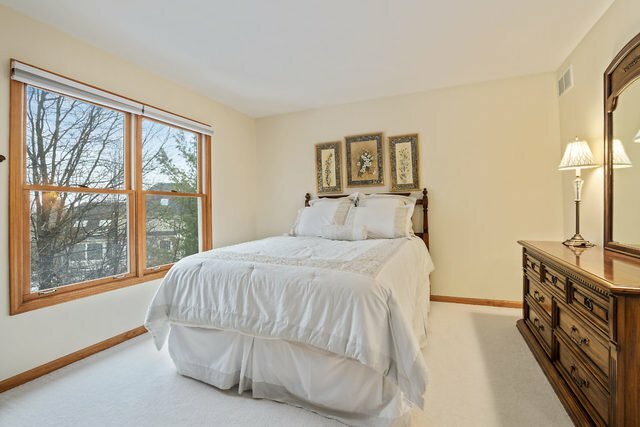 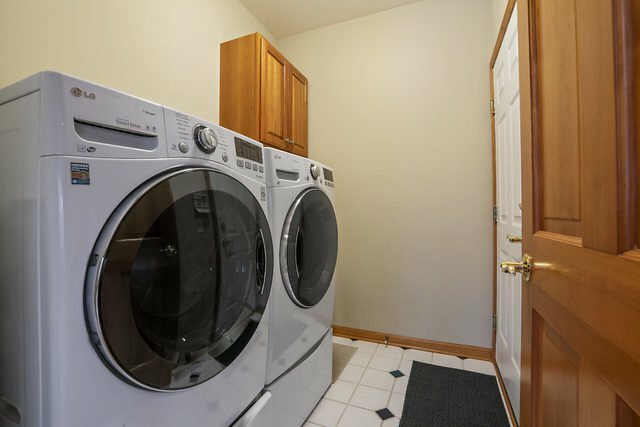 Oversized Master Suite with tray ceiling, huge walk in closet and one additional closet. 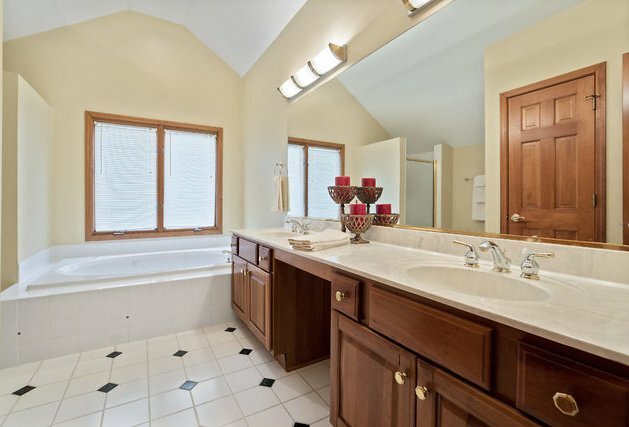 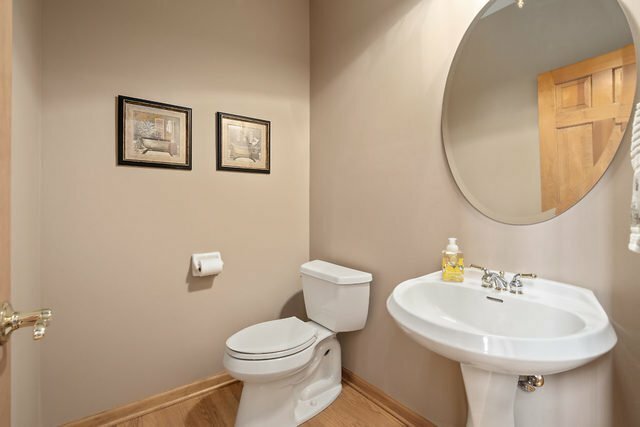 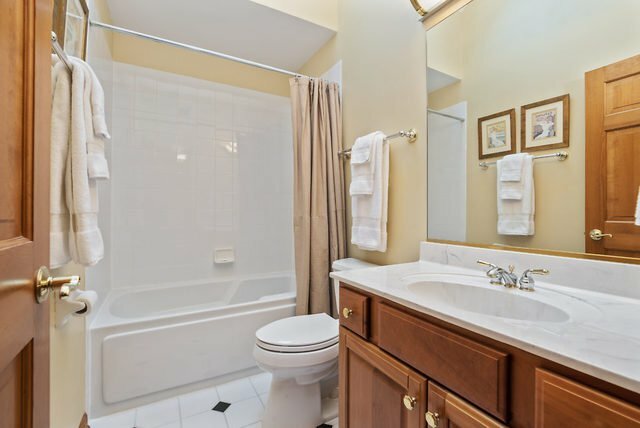 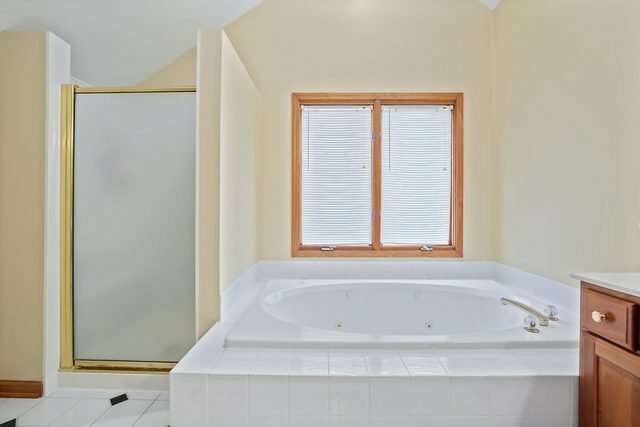 Wonderful relaxing Master Bath with double sinks and Whirlpool jetted tub! 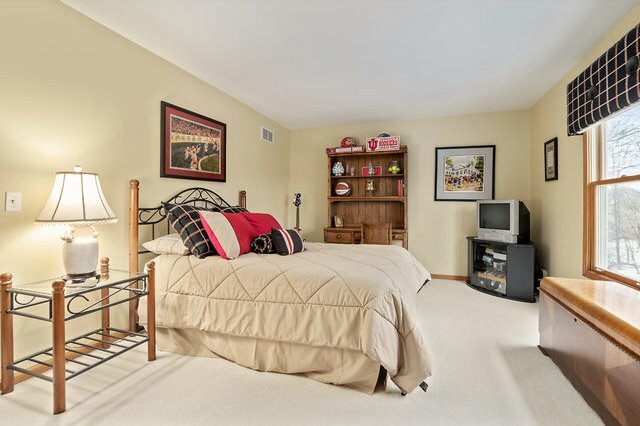 All remaining bedrooms offer walk in closets! 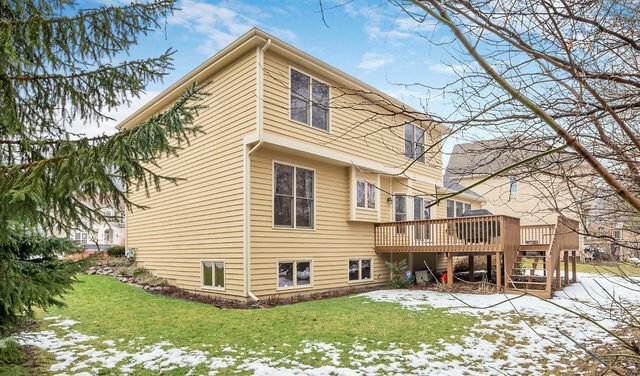 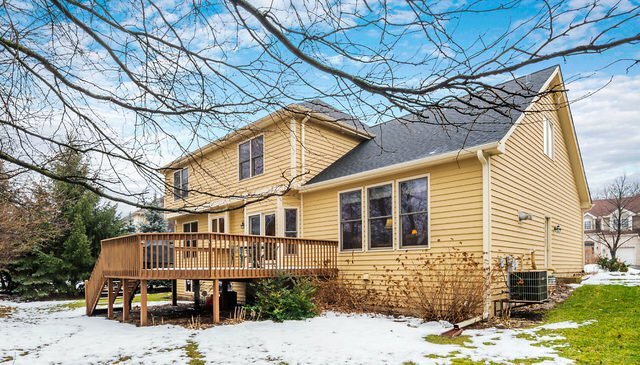 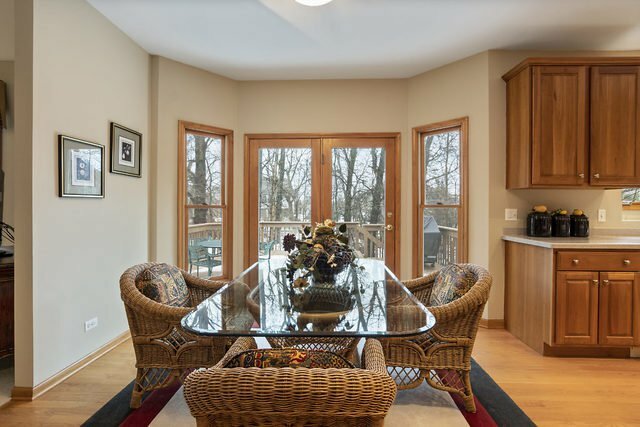 Large deck overlooking the beautiful and private wooded back yard. 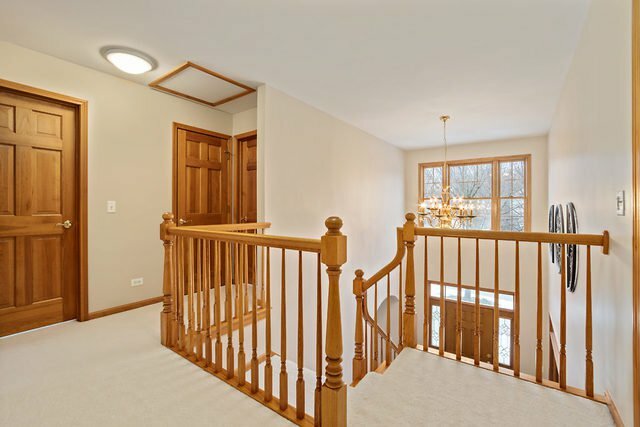 Full English basement ready to be finished.